Yes, that’s right, I was jammy enough to win 12 bottles from the Cairngorms Brewery (well you’ve got to be in it to win it) and this lovely lot landed on my door step on Thursday morning. 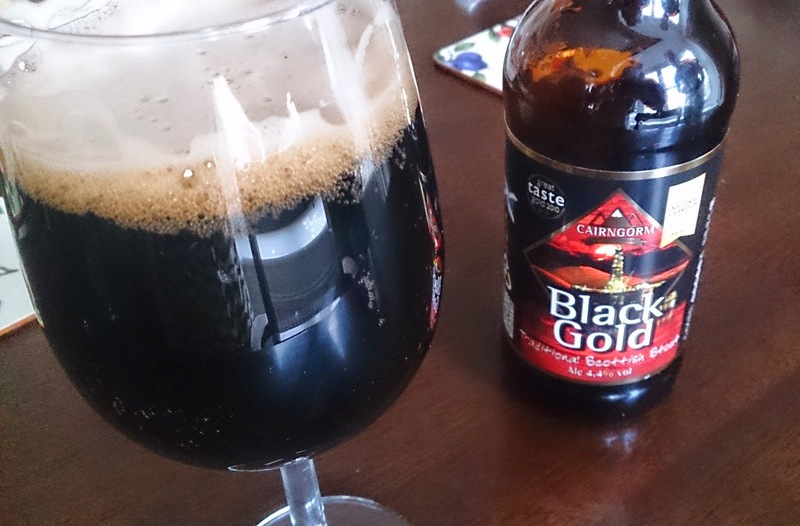 Obviously I’m not going to be reviewing this all in one go unless you want the photos to get progressively worse and the tasting notes to end up being ‘THIS WAS LOVELY BLEURGH’, but there was one particular beer I’d been looking to try for some time: Black Gold. Described as ‘nutty, with a smooth sweetness and a satisfying after taste’ and plastered with SIBA awards, I knew I had to drink it with my Sunday roast. 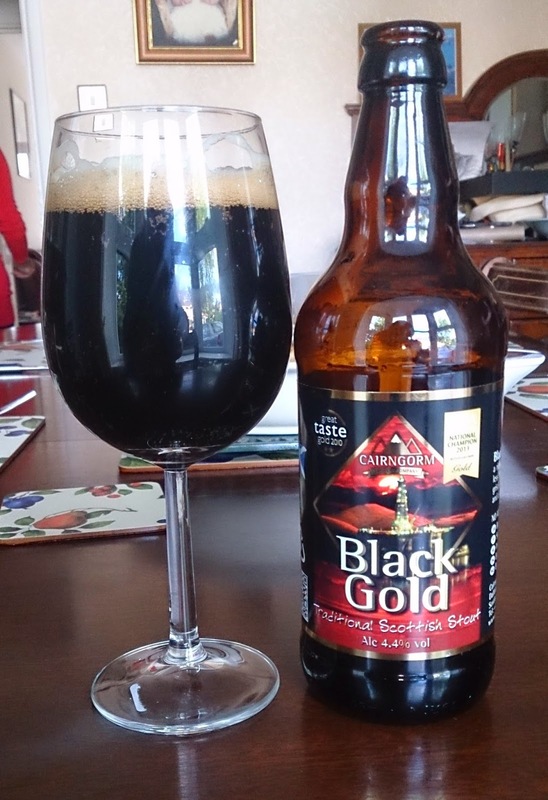 Beautifully dark with a creamy, beige head, this instantly hit me on the nose with big nutty aromas of toasted chestnuts and walnuts (apparently I’m a nut connoisseur- who knew?) I was expecting something heavier on the palate, but it was surprisingly (and pleasingly) subtle with hints of bitter coffee contrasting against the sweet maltiness, resulting in a smooth, dry finish. I ate this with a chicken roast, but really it would be better paired with a dark meat and a thick, rich gravy. For dessert we had a dark chocolate mousse which matched perfectly, the bitter chocolate balancing well with the smoky sweetness of the stout.